For more information, please "Like" our Facebook page at http://www.facebook.com/dragonriderproductions. For more information, go to http://miraclemanfilm.com. 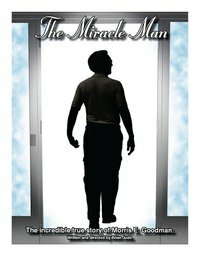 Please "Like" our Facebook page at http://www.facebook.com/miraclemanfilm. MIRACLE MAN T-SHIRTS ARE NOW AVAILABLE FOR $25! On Sale Now at CD Baby and iTunes!!! Including the live music video of "The Chasing Game,"
Colonel Scott W. Perry has recently interviewed Brian Jude for his web site, Colonel's Crypt. Read the interview here, or read it in our News Section! Journalist Denise Kaminsky has recently interviewed Dragon Rider Productions' Brian Jude for an article for the Student Operated Press. You can read it here. A slightly longer version is now up on Denise's personal site, and in our News section.